Are you going to cook Biryani today? A choice well made! I’m a biiiiig fan of this cuisine. Biryani, whether dum or any other variation, is liked by one and all. Various places have left their mark on this cuisine. Some of the famous biriyanis are Awadhi, Mughlai, Sindhi, Hyderabadi and Arabian; they have there own taste and are made with different methods. 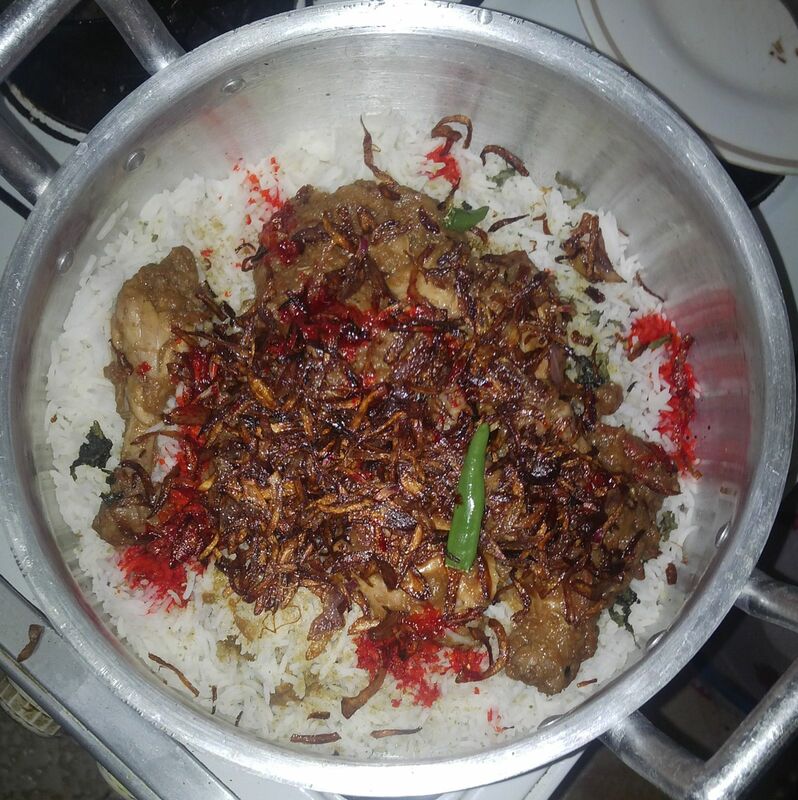 So we are starting here with lazzatdar chicken dum biryani. We are not certain of the origin of Biryani. 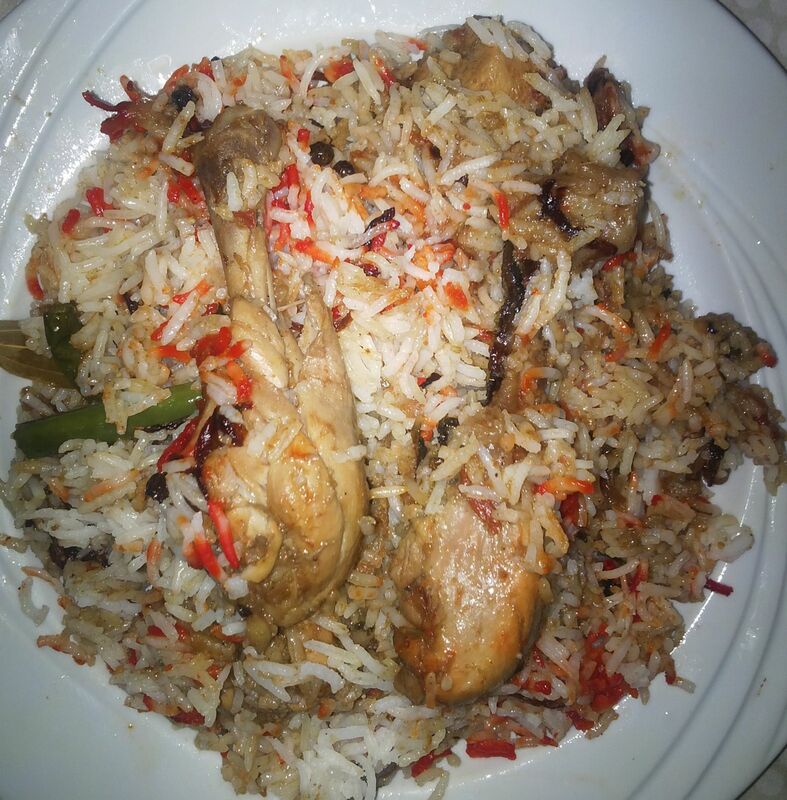 It’s been said that Biryani was an important part of the Mughal kitchen. But can tell you that in different parts of India, it is made with different styles and all are yum in taste. We’ll be making all those variations of biryani soon. Till then have this one and let us know if it rocked. The heart of biryani are the aromatic Indian spices. Though some people like Biryani to be spicy yet others like it full of aroma, balanced in spices and less oily. One of the main ingredients of biryani are tomatoes. You get slightly but a well balanced tangy flavour. 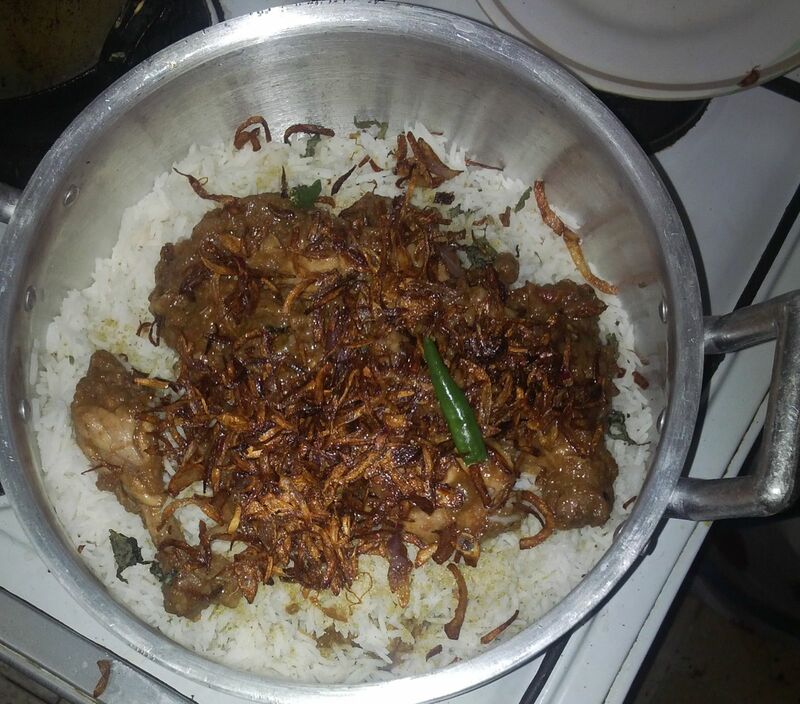 In my recipe the quantity of rice is lesser than that of chicken because I wanted more chicken pieces in my biryani. Get ready to cook this enticing Chicken Biryani on your own, and get lost in the different flavours of spices with every bite. Pour 3 tbspn refined oil or pure ghee in a pressure cooker. Heat it. Add 4 sliced onions. Saute and fry until it becomes golden brown in colour. Add ginger- garlic paste to onions and saute for 20 seconds. Now add all chopped tomatoes, coriander powder (dhania), cumin powder (zeera), all-spice powder (garam masala), fennel powder (saunf), red chilli powder and salt, according to taste. Fry the masala or mixture until the oil separates. 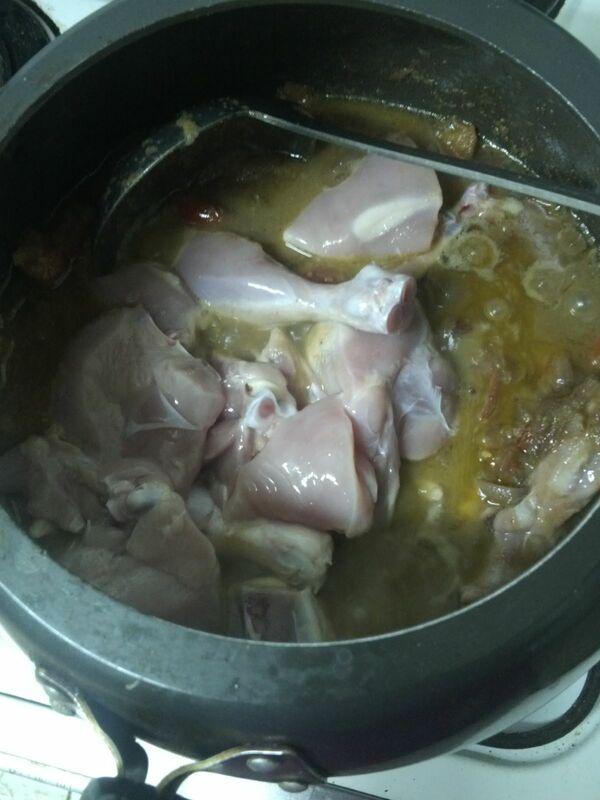 Now add washed chicken to the pressure cooker. Cover it to give two whistles. After two whistles put off the flame and wait for the pressure to go by itself. Open the lid of the pressure cooker and cook till water evaporates. 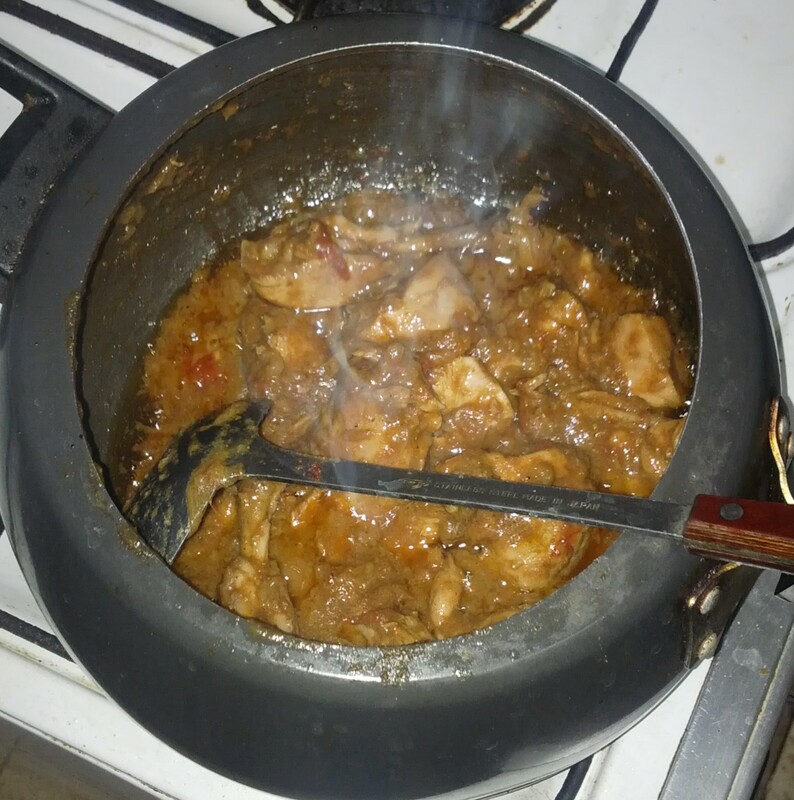 Now, open the lid and see if water is there; keep the pressure cooker on medium flame and continue to fry until the remaining water evaporates and the chicken masala oozes out the oil. Put off the flame and cover the cooker with lid and keep it aside. While the chicken masala is getting prepared you can take a small wok. Add oil for deep frying the remaining sliced onions. Heat it and add onions. Fry until golden brown. Once the onions turn into golden brown in colour, immediately take them out in a small dish and let it cool down with the help of two spoons. Mix the onions with the spoons’ help. This will make your fried onions more crispy. 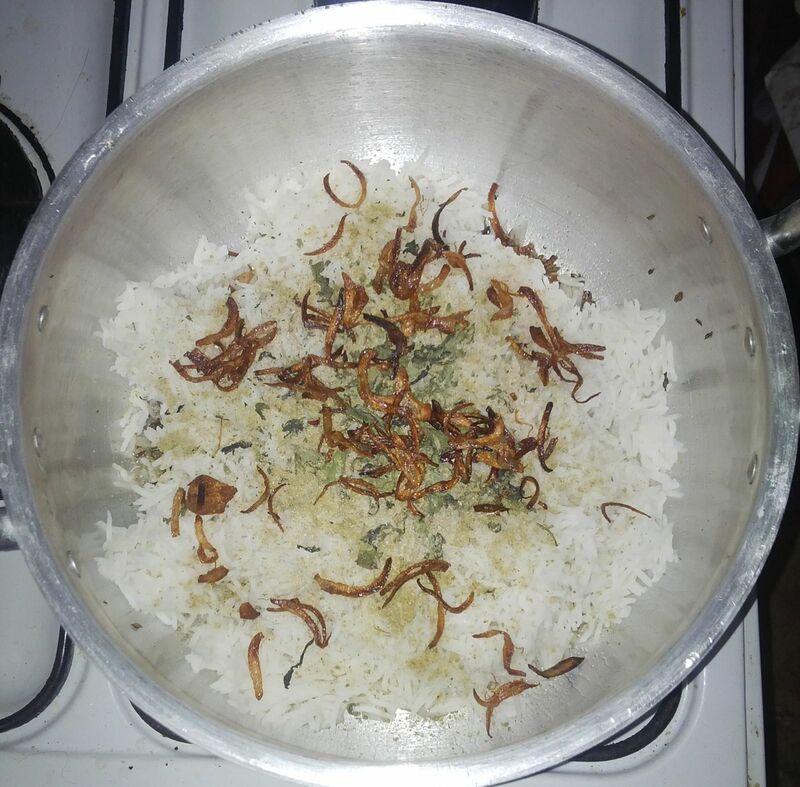 Take a medium-sized pot, add soaked rice, squeezed lemon and salt to taste (take out all the juice of lemon keep it aside we need only squeezed lemons) to it. Boil rice until it is done 99% i.e., slightly raw. If boiled water is extra, strain it. Remove the lemon also. Divide the cooked chicken into three parts. We have to add it to the rice in layers, one by one. Now, take a big pot. Heat 2-3 tbspn of oil. 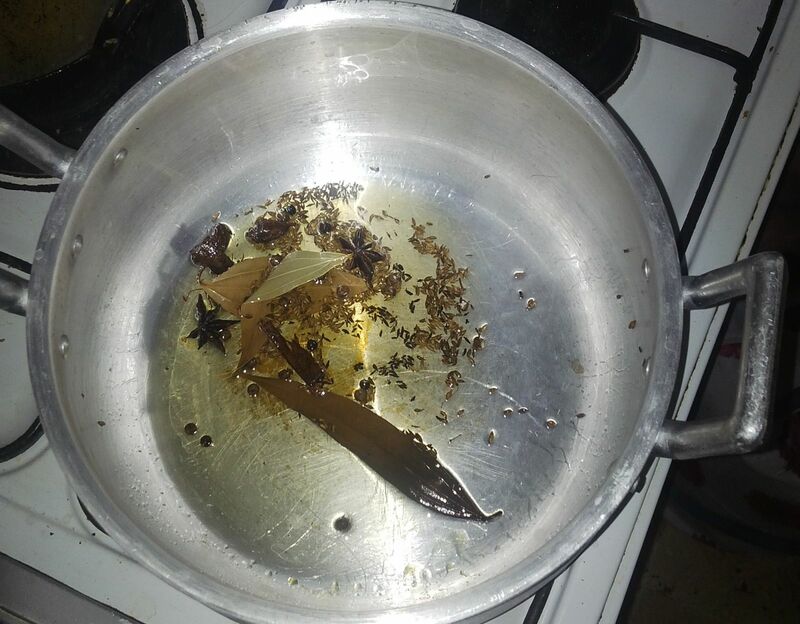 After heating oil, add bay leaves (tezpatta), black cardamom, cinnamon sticks, cumin seeds, cloves (laung), star anise and black peppers. Fry for one minute. Add first part of chicken, then layer it with rice, sprinkle two pinch of fennel powder (saunf), spread fried onions, 2 green chillies, 6-7 mint leaves and a little amount of lemon juice. Lemon juice is totally optional. Repeat the same process for three layers at least. Layer the rice and chicken properly. Take a tawa and keep it on the low flame and put the biryani’s pot on the tawa. Take a pinch of orange or egg colour whatever you like mix it with a drop of water and add to the biryani before keeping it for dum. 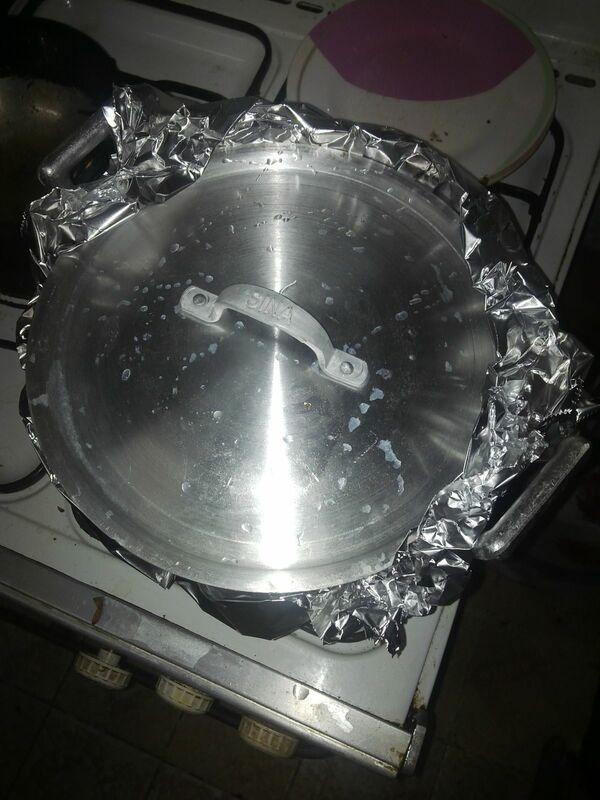 Now cover the pot with aluminium foil, and with a lid. Keep it on dum, low flame (to cook again further for 10 minutes more). After 10-15 minutes put off the flame. Leave the pot as it is for 5 more minutes. Then open the lid and remove the foil. Check the biryani. Mix it well. Your extremely super tasty and spicy Lazzatdaar biryani is ready to serve hot with raita. I have already started to crave for it, again! 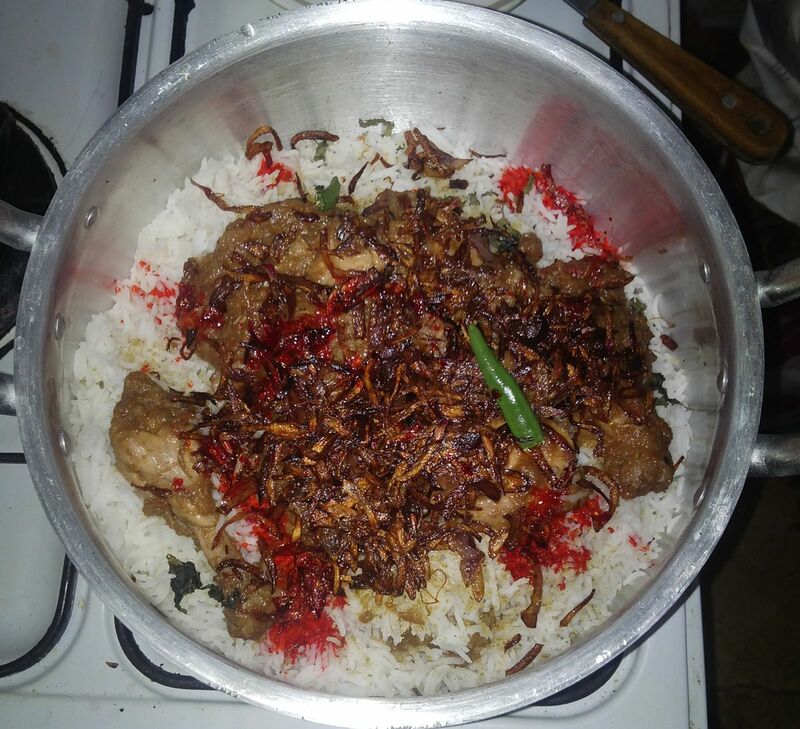 Tip: If your rice is not cooked properly after adding chicken don’t panic add 1/2 cup of milk immediately to it and cover again for 10 minutes on low flame. You will get the positive result. 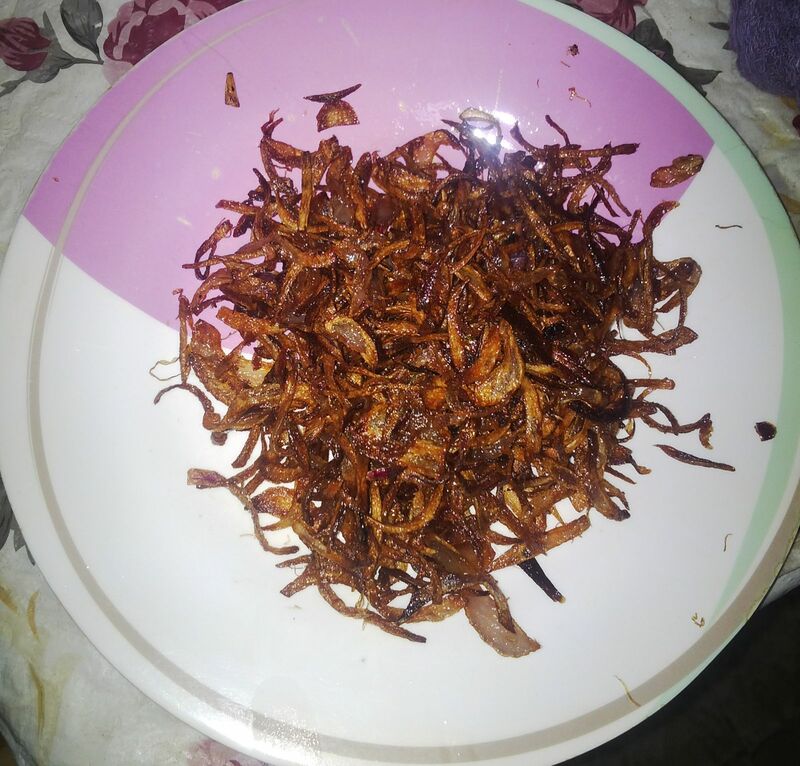 My favourite dish is Biryaani n thanks for sharing this recipe.